Mother’s Day is fast approaching and if your mum’s are anything like mine then you are probably racking your brains trying to think of ideas of what to get your lovely mum to say thanks for being so great! My mum is impossible to buy for, sorry mumma but you are! So i always find planning an activity is always a better option than buying her an actual gift, plus it gives you both some quality time together rather than just a bunch of flowers. Not that there’s anything wrong with flowers, we all love flowers! But rather than doing a gift guide for Mother’s Day i decided to give you some activity ideas for both Surrey and London that you could book instead. Afternoon tea is always a winner. You can both get a little bit dressed up and feel all fancy while nibbling on mini cakes and catching up. 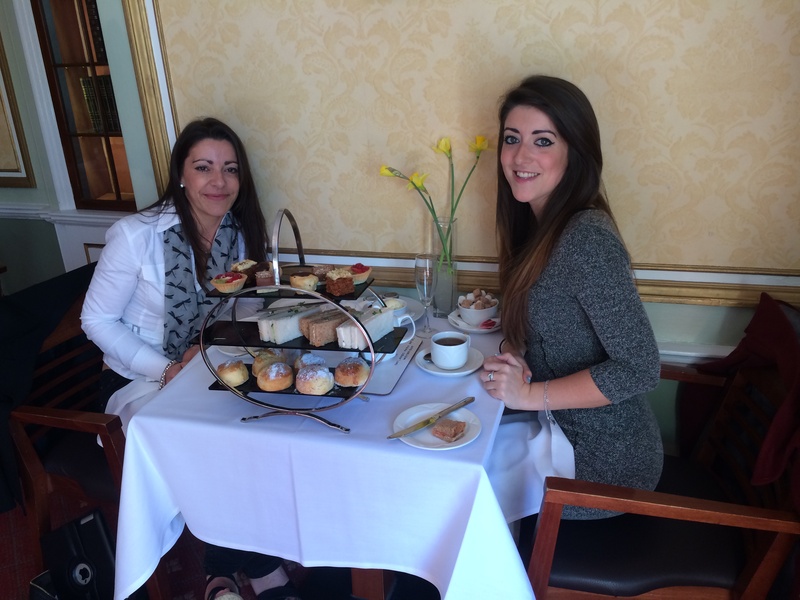 I decided this was a pretty good option last year and took my mum to Oatlands Park Hotel in Weybridge. They have lovely seating both inside and out so if its a nice day you can get some fresh air too. The hotel itself is set in really beautiful grounds too so you have a lovely view at the same time. This year they have a deal on for Sparkling Afternoon Tea which is £25.95 each and includes all the normal afternoon tea bits, plus a glass of Prosecco. I can vouch for it being lovely here, we had a great time last year. If your looking for a slightly different take on afternoon tea in London I’ve got a couple of options for you. 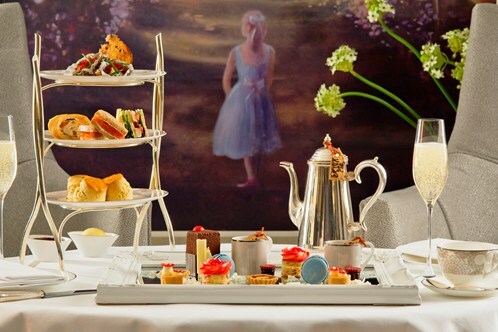 Bookatable currently have a great offer on for Alice in Wonderland themed tea at Conrad London. Its £30 per person and includes a glass of champers. 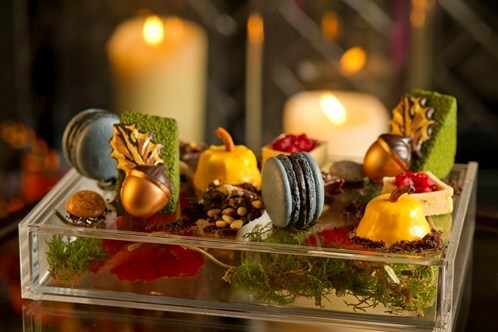 Its not your normal afternoon tea menu, but i can only imagine how much fun munching down on a “mini toadstool lemon tart” would be. A bit quirky but a lovely experience! 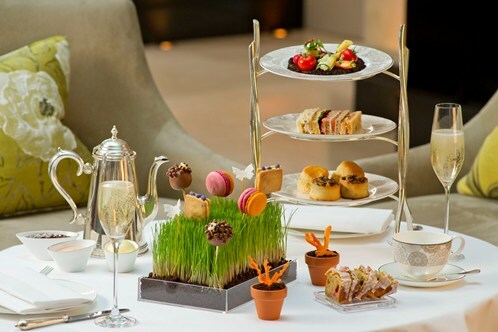 If sandwiches and cakes aren’t really your thing, or your mums thing, why not try The Halkin’s twist on afternoon tea. 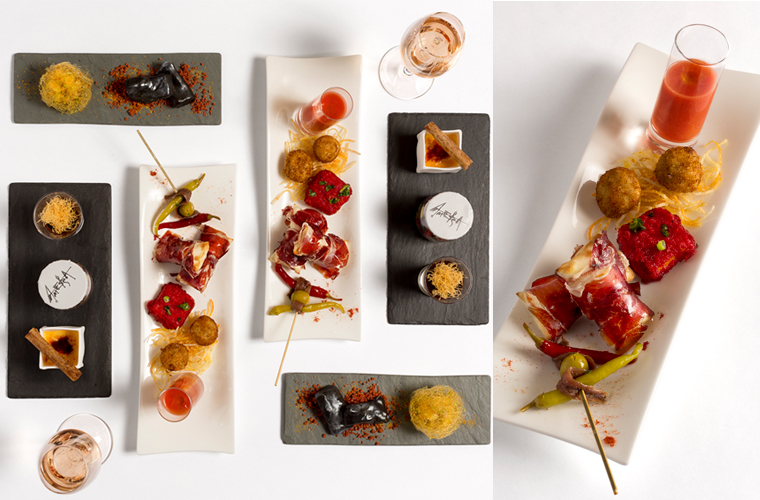 Rather than the normal bits and bobs you would expect for afternoon tea, they have put a Spanish twist on things and are offering a tapas style selection of sweet and savory options instead. Opting for pork croquettes and manchego cheese pillows over cucumber sandwiches or chocolate with churros and charred sweets over scones and cream. Going for dinner is always a lovely treat, my advice however wouldn’t be to go for the meal on Mother’s Day. The food is never as great, everywhere is rammed and it always costs way more than it usually would. Cook dinner at home for your lovely mum and then extend the celebrations by booking something for the following week at somewhere fancy. 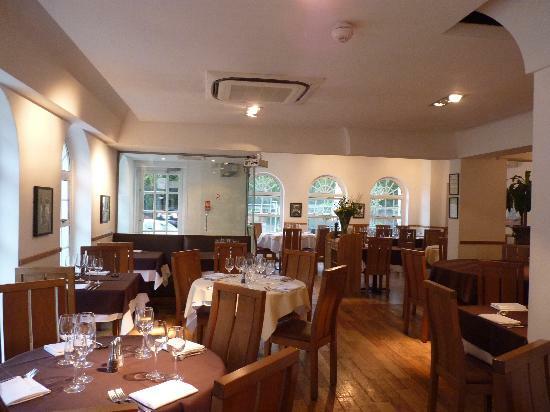 La Casa in Weybridge is a fantastic little Italian that isn’t too pricey. They do a great variety of food and if they have the lobster linguine on special when your there make sure you get it! Its amazing! 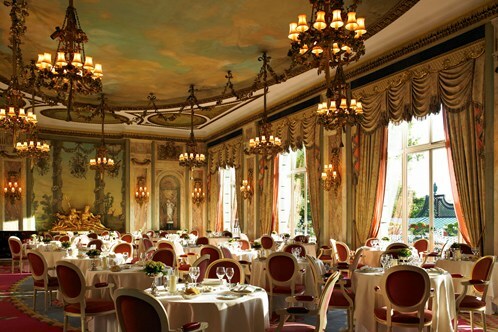 If you want to go really fancy and give your mum a night she will never forget, then go all out and book a table at The Ritz. Bookatable (clearly where i get all my deals from!) 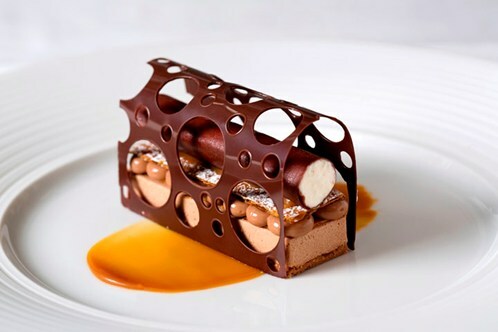 have a great offer on at the moment, 3 courses and a glass of champers for £55 each. My mum actually got this for me as a Christmas present last year and it was incredible! 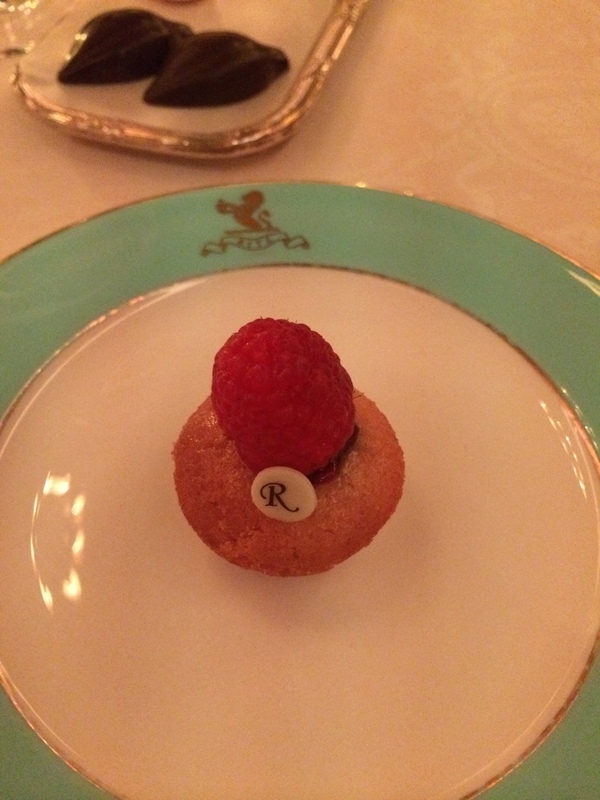 The menu is seasonal so it will probably be different to when i went, but i’m pretty sure they always offer the amazing little cakes at the end of your meal that have an R on them! ADORABLE! I love a spa day! I know its not for everyone, so maybe this could be a gift just for your mum rather than something you do together if its not your thing. But personally i love them, so i would 100% be going along too. 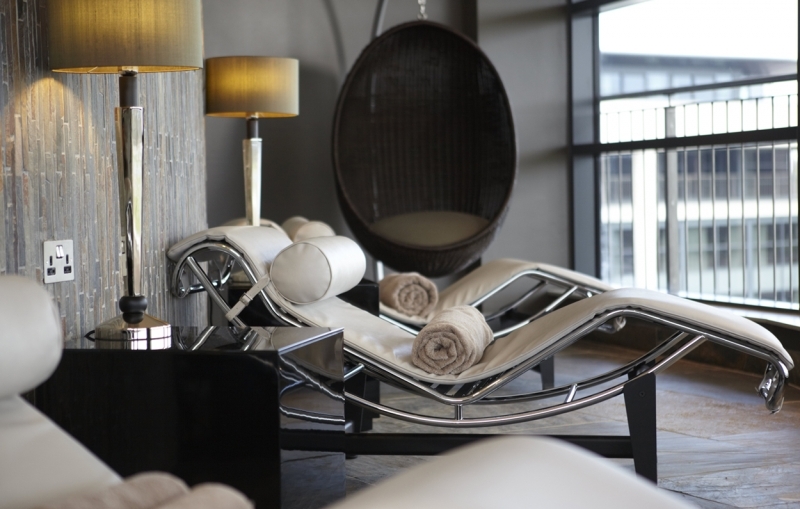 The Brooklands Hotel in Weybridge has an amazing spa offering a variety of different packages. Don’t get me wrong, they aren’t cheap, far from it, but if you have the cash and really wan to treat your mum this year then why not eh, I’m sure she deserves it! The cheapest package they offer if £95 and includes a 50min treatment, full use of all the spa facilities PLUS a 2 course meal with champagne to top it all off. If a package is a little on the steep side for you then they do also offer just single treatments instead which are far more reasonable. 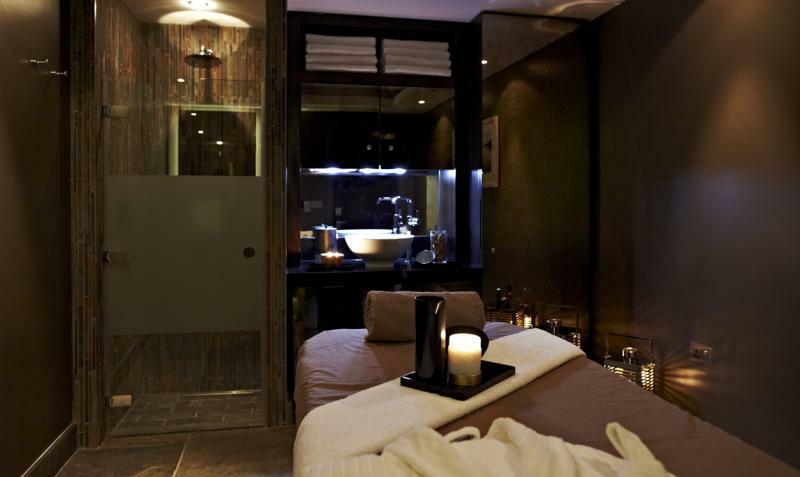 A 50min relaxation massage will set you back £65 which is pretty standard i would say. Spa London has a variety of different locations to choose from in and around London (Bethnal Green, Epsom, Old Street, Oxford Circus, Swiss Cottage and Wimbledon) which is always a winner. They also offer gift vouchers as well as packages like above. You can choose from a set amount, a specific therapy or a package all ranging in different prices. I love the fact that you can choose locations making it accessible to pretty much anyone in the London area. 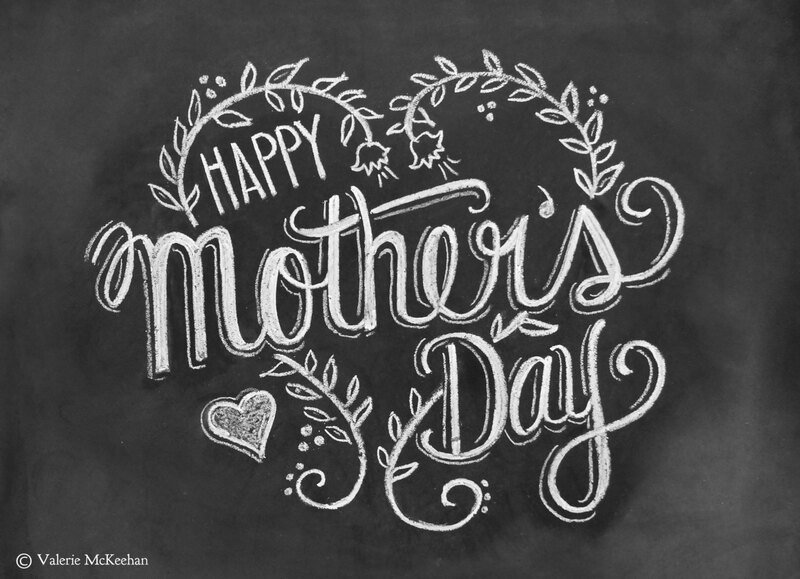 What are your plans for Mother’s Day? Have gone for an activity too or managed to find the perfect gift? ← Drinks in the Sky!